A Bexhill motorcyclist who died in a collision days after Christmas has been described as ‘the best father’ to his two young daughters. Martyn Robert Talbot, 46, of Little Twitten, Bexhill, died on December 28 when the motorcycle he was riding was involved in a collision with a car on the A269 Ninfield Road, Sidley, Bexhill. 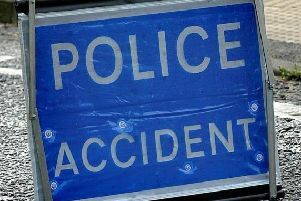 Martyn, who was travelling south on his wife’s Honda CBR125 motorcycle at the time of the collision with a black Citroen C1 which was travelling north, was pronounced dead at the scene. His wife Olga, who married Martyn ten years ago, described her husband as ‘supportive and very caring’. She said: “It was just such a massive shock. “Life was great (before the collision). There was so much excitement around Christmas. Everyone was just excited. “He was a keen motorcyclist and on that day he went to visit a friend on my motorcycle rather than using his own. Olga met Martyn, an IT consultant who had a computer science degree from Southampton University, 13 years ago when they were working together at the East Sussex Disability Association. Together, they had their first daughter – Elizabeth, who is now 11 – before they married in the summer of 2009. Four years later, they had their second daughter Alexandra, who is now six. Olga added: “He was just the best father. He was very caring, supportive. All of those things. “He was the best person ever. Following his death, a JustGiving page was set up to help Martyn’s family with funeral costs. Olga said: “The whole thing was just a massive shock to everybody who knew him. Olga said Martyn’s funeral will take place next Wednesday (January 30) at Eastbourne Crematorium following a motorbike procession. The funeral will start at 11.30am with the procession beginning at 10.30am from Olga’s house in Little Twitten, Bexhill, before making its way to Eastbourne.